The only decision we have is - do we want to own the stock at $10, and if we think its undervalued by a lot that's good enough for us to decide to own it now. By the time it starts approaching higher values we can re-asses and fine-tuning on an ongoing basis. We do our assessments in a very imprecise way"
Using David’s method, Clean TeQ Holdings Ltd (ASX:CLQ) on the Australian Stock Exchange is one stock that has potentially approached higher values, having risen strongly over the last 12 months to $1.48. So, I wanted to ask, like David is it worth a lot more. A quick way for us is to assess if CLQ could go higher is to look at the potential Earnings per Share (EPS). By way of introduction, CLQ is involved in four commodities: Platinum, Cobalt, Nickel and Scandium. 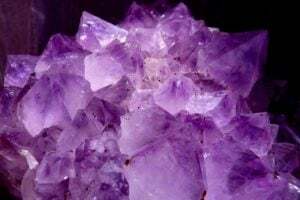 It also has a water purification solutions business, however at present the company appears focused on commodities servicing the lithium-ion battery market, with Cobalt and Nickel. CLQ also have tried and tested technology that Russia have been using for 20 years. CLQ also has the highest and largest grade of Cobalt outside Africa (its Syerston project) and most importantly its Nickel and Cobalt deposit allows for simple strip-mining, pushing CLQ to the bottom of the cost curve. As concluded by Macquarie Research in 2017, CLQ has a projected C1 cash cost for Nickel of US$0.89/lb – note price has since risen to cUS$5.09/lb. Electric cars are “about to reach the tipping point” in the penetration curve in the next few year, given the EV powertrain is $4.6k cheaper to produce and there is more cost reduction potential left. Of the three chemistry types of batteries: Lithium Iron Phosphate (LFP), Nickel-Manganese-Cobalt (NMC) and Nickel-Cobalt-Aluminium (NCA), the combination of Cobalt and Nickel in NMC and NCA has the highest energy density of all forms. It means the battery can hold more energy per the actual weight of the battery and can run longer kilometres. Yet what is really interesting, is by comparison to the UBS 16% penetration, we have calculated below that it could come closer to 37%. This 37% rate is taking the projection targets of the car manufacturers (2025), and pro-ratered back to 2020, to obtain a 2020 estimate. Further with only half of Cobalt’s demand going to EV's in 2017 (only approximately 3.5m EV's were produced worldwide), we are looking at nearly a 400% increase in 3 years. Further from a supply side perspective, by 2020 research by CRU Mining, factoring in CAPEX in development, has found there could even be a deficit by at least 10,000 tonnes annually. So, taking into consideration that the macroeconomic environment appears very promising for Cobalt and Nickel and given CLQ has a high suitable grade of both, let's turn to the potential EPS for CLQ to PE multiple. CLQ recently updated its reserves and production potential for both Cobalt and Nickel, finding an extra 30% in reserves in Cobalt to 132,000 tonnes. You can see below CLQ has an annual production of 3,800 tonnes for Cobalt with an effective mine life of over 34 years (75,500 / 3,800). Nickel by comparison has 18,700 tonnes of annual production, with an effective mine life of 32 years (593,000 / 18,700). At current prices per Commodity, not taking into account the supply side shortages we touched on earlier, CLQ could generate annualised revenue in year 1 of US$524.2m. Note we have only used combined output at 22,500, which is highly conservative given the development consent and EIS confirms up to 40,000 tonnes of nickel and cobalt metal equivalents could be produced. Net Profit therefore in Year 1 could be US$283.3m, based on the CODB % that CLQ achieves on the lower quartile of industry standard. This also includes interest payment of $50m a year on the US$500m debt facility that the company needs to build the new Sunrise Nickel/Cobalt/Scandium Project in NSW, assuming conservatively a very high 10% interest rate. The company will however still require c$450m in funding to build the Sunrise facility. An announcement by the company on the funding is expected this quarter, yet there is potential for co-contribution to net profit (from a potential supply buyer or investor) or an equity raising. So, if we assume the $450m is an equity raising at the last closing price of $1.50, total shares on issue become 863m. Brining this together generates a very powerful EPS base estimate of AUD$0.36. A sensitivity test of +/-20% to Net Profit at current prices, brings the EPS range to $0.27 to $0.44, or with +/-20% to Price $0.20 to $0.55. The stock is therefore trading on a very low PE multiple of 6.9 or base case dividend yield of 14.3%, once it has production annualised and up and running. Applying arguably the world’s greatest value investor, Benjamin Graham’s valuation method, and we assume 2% EPS growth (g) and apply the AAA corporate bond yield of 5.52% (current + 200bp for risk) (y), the share price valuation comes in $3.59, a significant re-rating to yesterday’s closing price of $1.48. By comparison, a straight EPS multiplied by the long run P/E multiple of 12, gives a higher valuation at $4.28 and FN Arena at time of publication, highlights only two brokers cover the stock, Macquarie with a price target of $2.20 and Deutsche Bank with a price target of $1.60. Both have BUY recommendations. 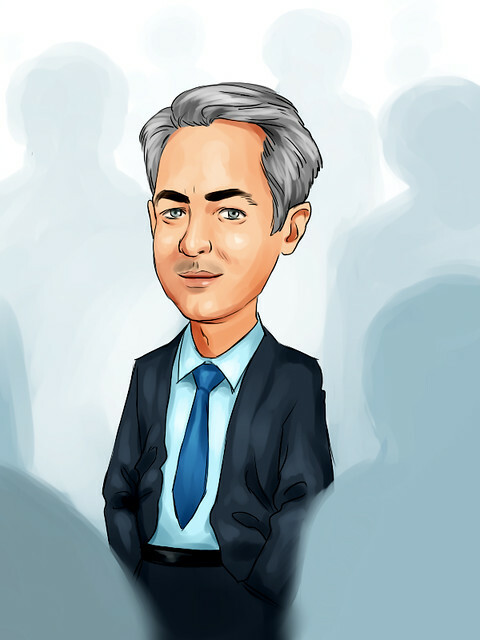 “The Acquirer’s multiple is an industrial strength PE multiple. It’s a throwback to the corporate raiders and buyouts of the 1980’s. In dusty old financial journals, it is described as the Acquirer Multiple because corporate raiders and buyout firms – the acquirers – used it to find whole companies cheap enough to take over. What brings us comfort is the senior management and board are very experienced in the mining industry. Combined with quality tried and tested technology, it gives us confidence in being able to bring to life the Syerston project and convert the resource to profit. So like David Einhorn, in an imprecise way with EPS forecasts to being relatively high, no magic formula really needs to be used to indicate that CLQ combined with its management expertise could potentially have much greater upside. UBS: Global Autos / UBS Evidence Lab: Electric cars: Highway to Margin Hell? Note we have not included in the EPS calculation the significant reserves in Platinum (1.08m ounce reserve) or Scandium (19.2m tonne reserve). Or the benefits from a ramp up in its water purification solutions business of which it has a joint venture in China with Hoyo. 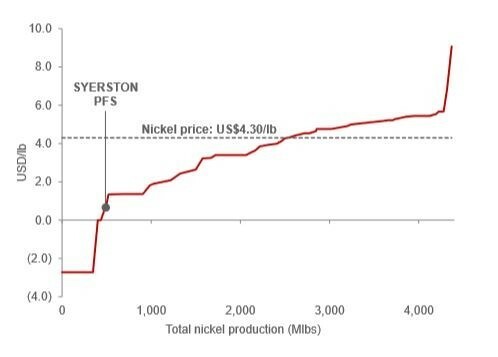 The Scandium component, which is the most expensive of all-natural elements at 1.5m a tonne captured, does not appear to be captured in any NPV broker valuations and with high prices of between $4,000 and $20,000 per kilogram over the past decade, the key is whether the market is willing to adopt to the mineral for production, as only a couple of hundred kilograms of scandium metal are produced each year. Note Boeing has explored its use but cannot at present find a readable supply. As Steve Jobs said “Sometimes people do not know what they want until you show them” and if CLQ can find a market for its resource, each 80 tonnes of it’s 19.2m reserve annually is worth c$0.10 in EPS at current prices. Table on EV usage by car manufacturer to derive 37% was calculated by extrapolation, taking the mid point of the companies stated 2025 target percentage and pro-ratered back to 2020, to obtain a 2020 estimate. Compliments to Dr Jonathan Hall for his contribution to this research. Jonathan has an extensive background in Housing, Mining and Research with a BA (Econ) Massey University NZ, Master of Urban and Regional Planning Sydney, and a PhD from Sydney University.